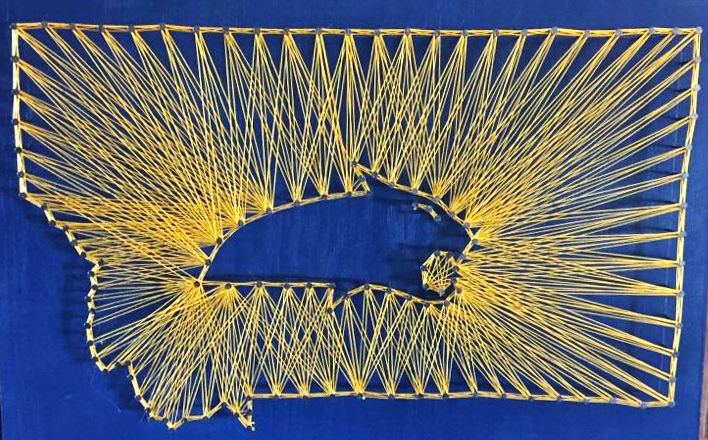 Show your Montana pride with a custom piece of string art! 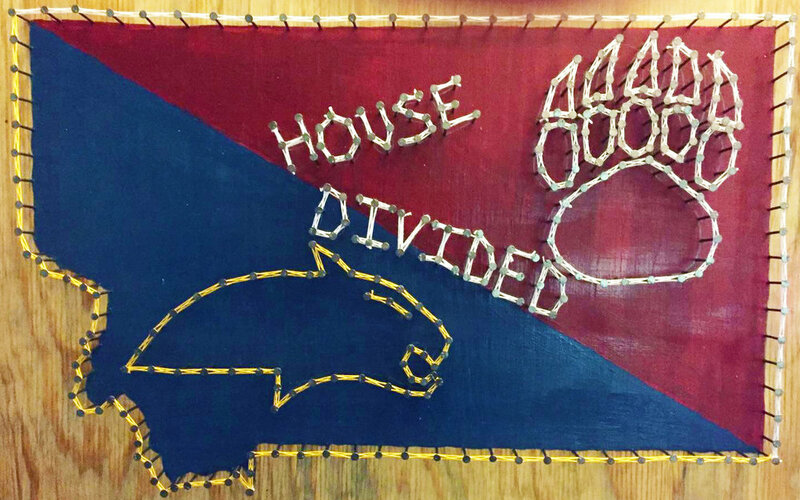 Enjoy a bit of Cat/Griz good natured rivalry, or show a little love for your home town while you learn how to create a design, layout the nails, and fill the design in with string to create a 3D string painting. There will be several great designs to choose from! Please indicate your selection when registering for your class!